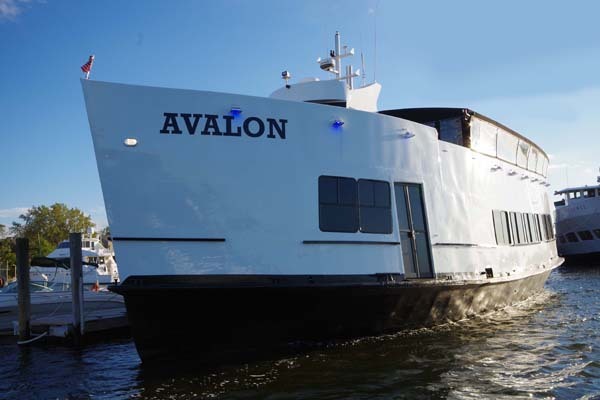 All aboard New York’s classic Avalon cruise this New Year’s Eve for a free-flowing yacht party on NYC’s Hudson and East Rivers. Enjoy stunning views of the Statue of Liberty, Brooklyn Bridge, and glittering Manhattan skyline as you revel in a vivacious party. Ring in a twinkling New York City New Year on the Avalon cruise. 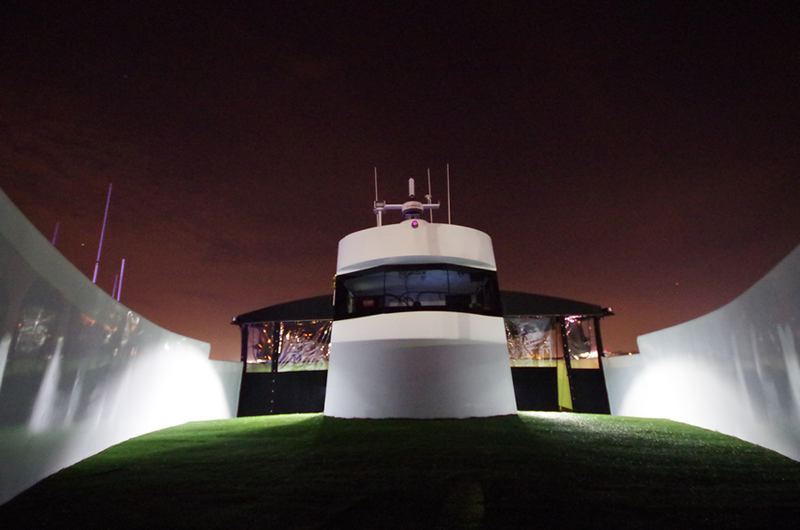 Embark on the New Year with a picture-perfect private boat party on board NYC’s Avalon. Start the party at the 4-hour premium open bar to amplify the party mood. Guests will delight in snacking on early evening light gourmet fare at the buffet area while admiring fabulous views of the New York City skyline from all sides. 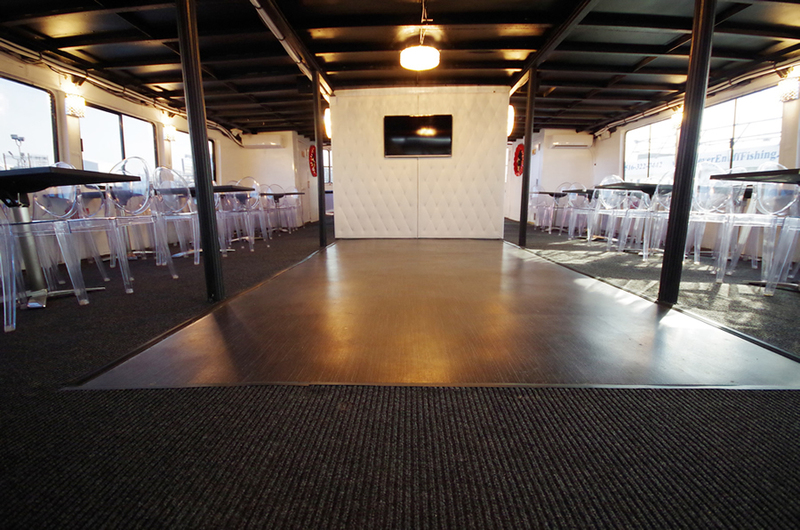 The separate dance floor on the upper deck awaits you, where a live DJ will spin electric open format tracks of Top 40, Hip-Hop, House, and Mash-Ups, leading the pumped up party to new heights. Enjoy a complimentary champagne toast with a live, DJ-led countdown to the New Year, complete with complimentary NYE party favors. 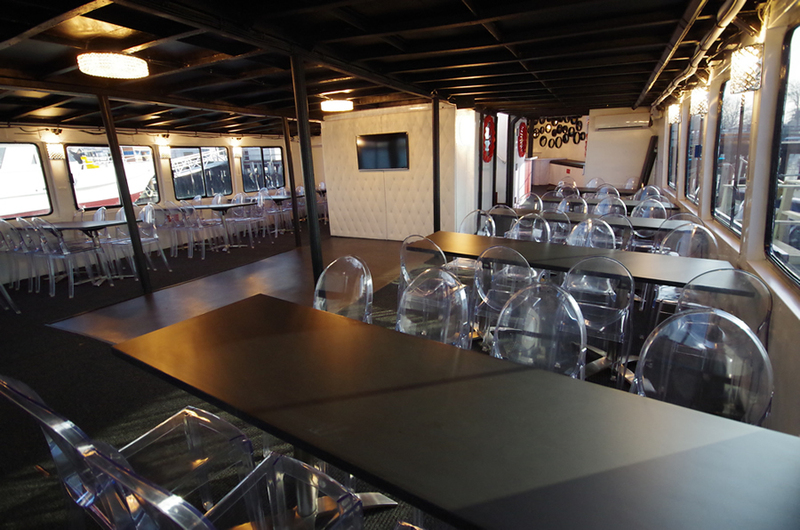 Select Seated VIP packages for reserved seating. Your magical NYE party cruise will circle lower Manhattan, offering spectacular vantages of the skyline and the Statue of Liberty, the Brooklyn, Manhattan, and Williamsburg bridges, as well as the Empire State Building and Chrysler building. The luxury Avalon is equipped with a large sun deck with two convenient staircases. 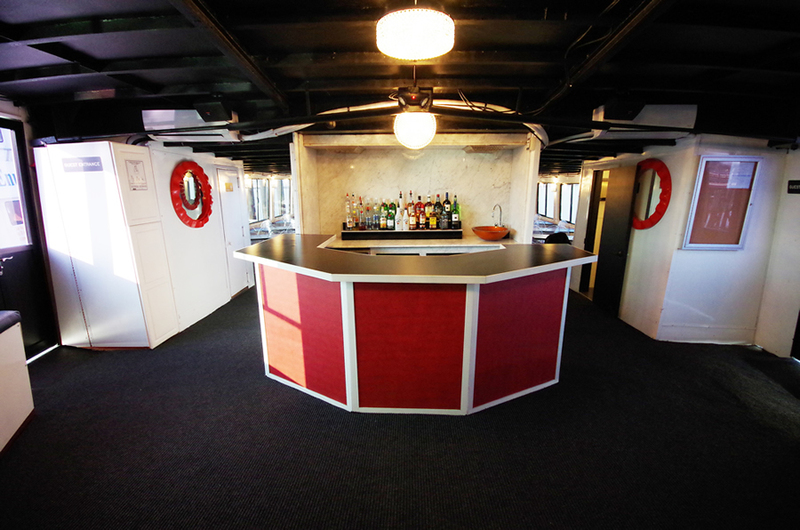 A centerpiece bar with red lacquer front panels and white trim complements nautical red frame mirrors which mimic porthole windows, while Swarovski crystal chandeliers add a touch of class. 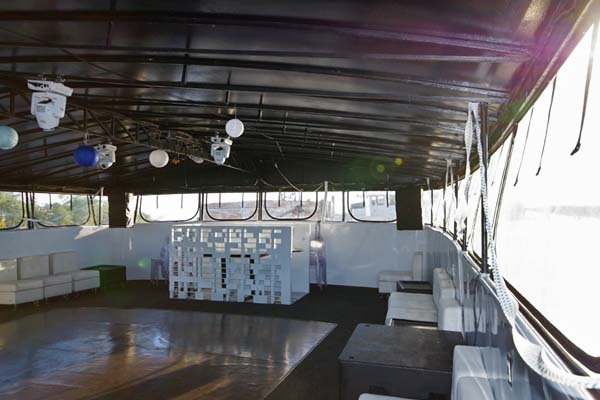 An enclosed terrace occupies the upper deck, featuring red carpets, a squared off dance floor, white banquettes, and mod geometric light installation. 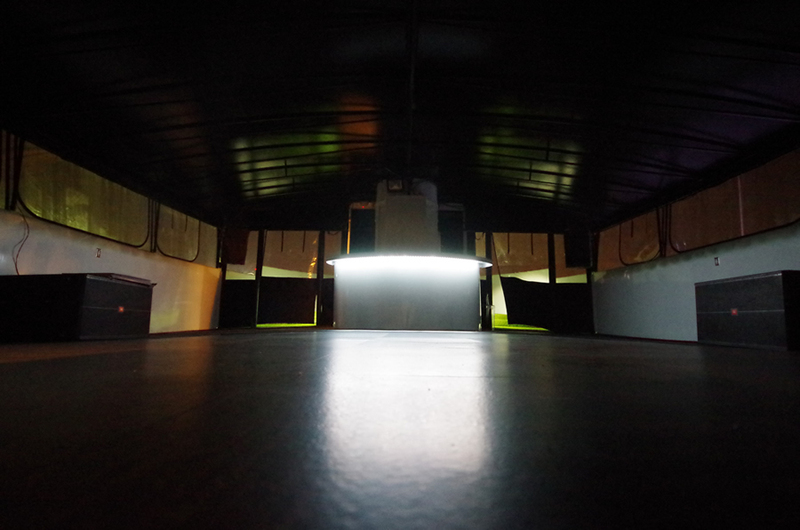 In the main room, a more intimate dance floor is surrounded by large windows for taking in the magnificent views. 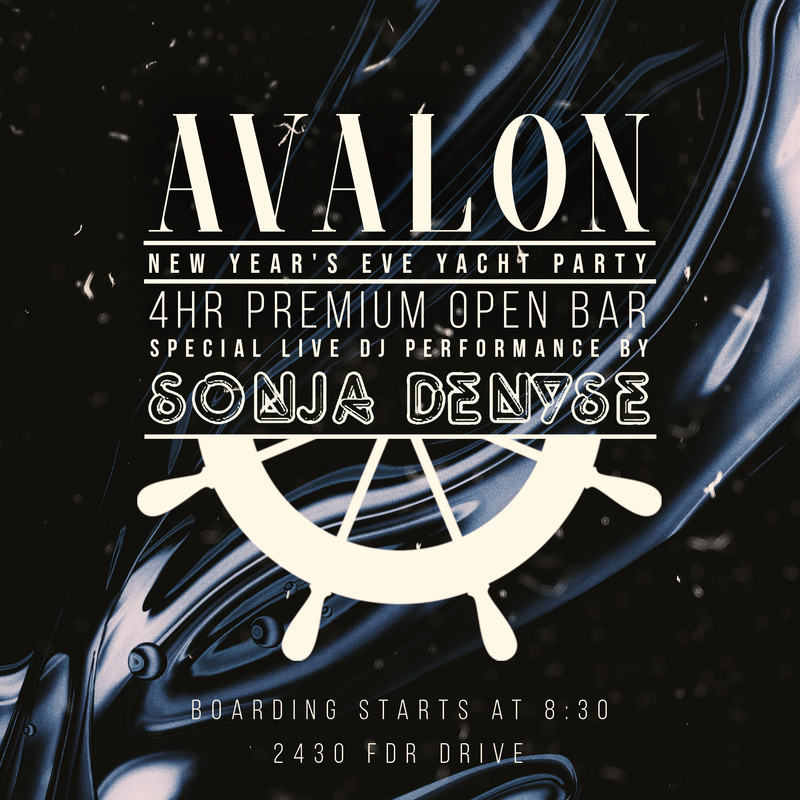 Cruise into the New Year in style with a glittering night aboard NYC’s Avalon. --- Please be advised that all boat excursions sail at the discretion and command of the NY local Coast Guard. Boarding time is set. However, departures times, length of sailing and return to port times are dictated by the Coast Guard. All event amenities will be provided whether docked or on the water.